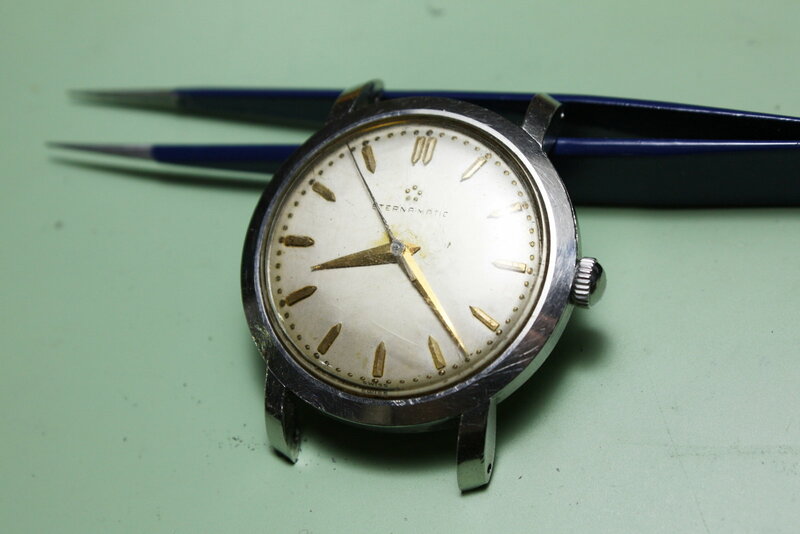 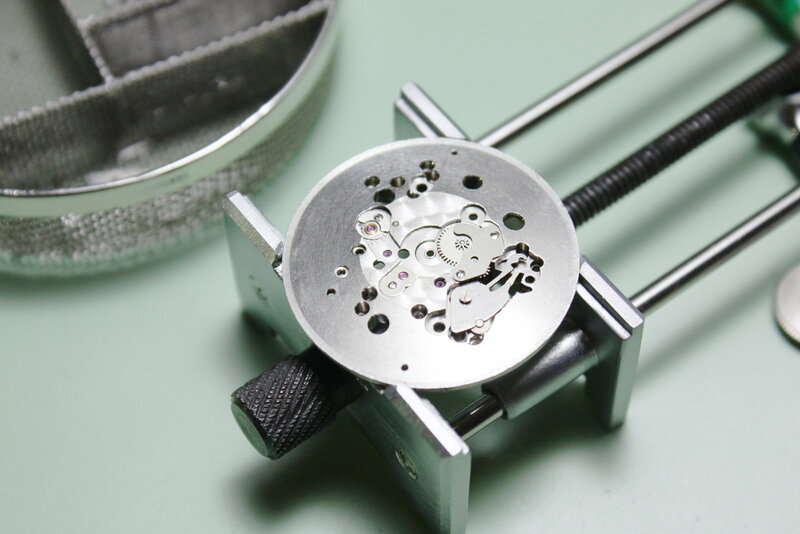 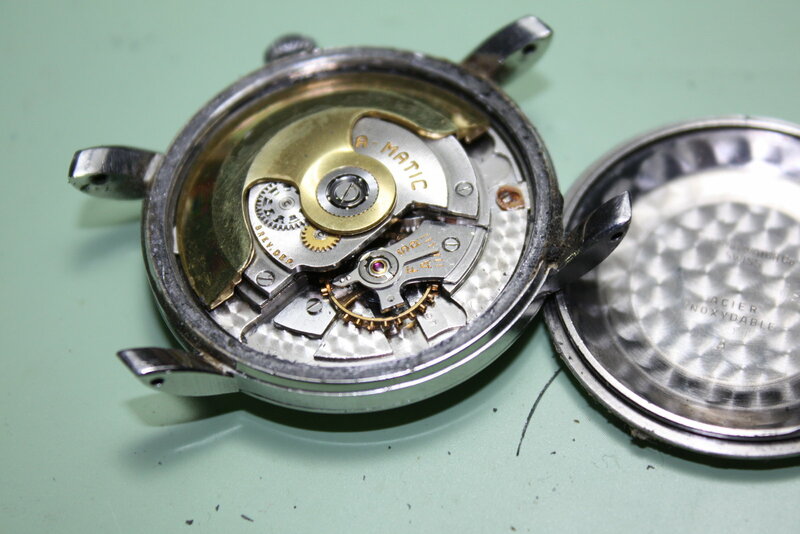 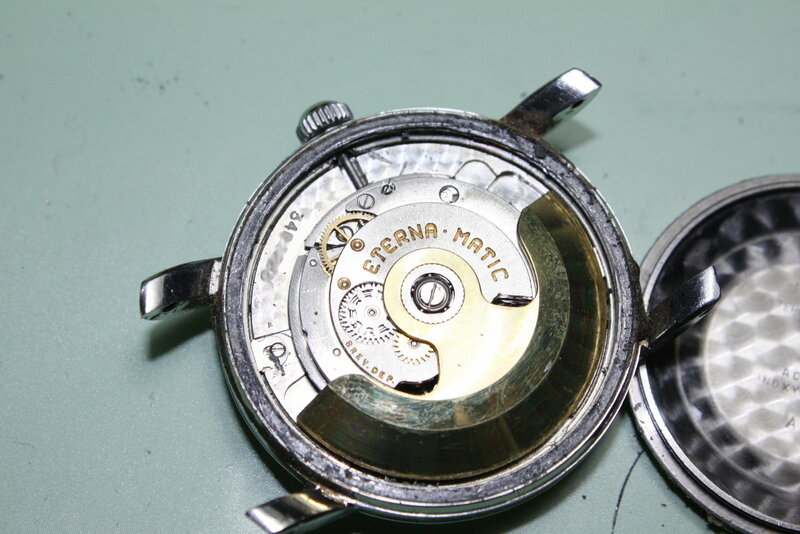 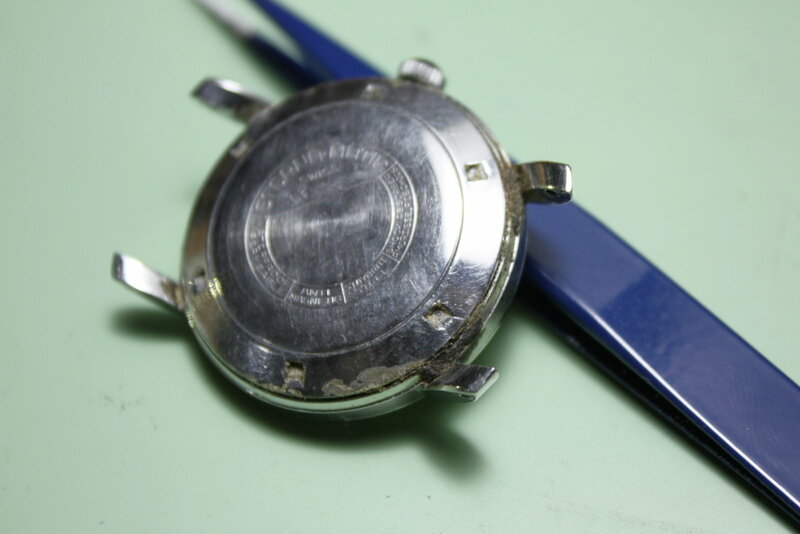 This article covers the revision of an Eterna Eternamatic - not only one of the first mass-produced automatic watches that worked reliably (other designs of the time often had inefficient self-winding mechanisms and the tendency to require some additional hand-winding to run continuously), but also the first one to use a ball bearing for its rotor. 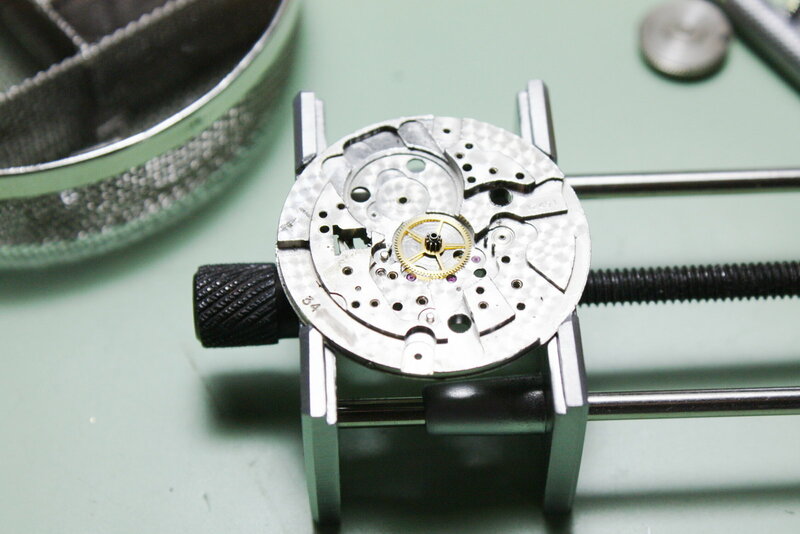 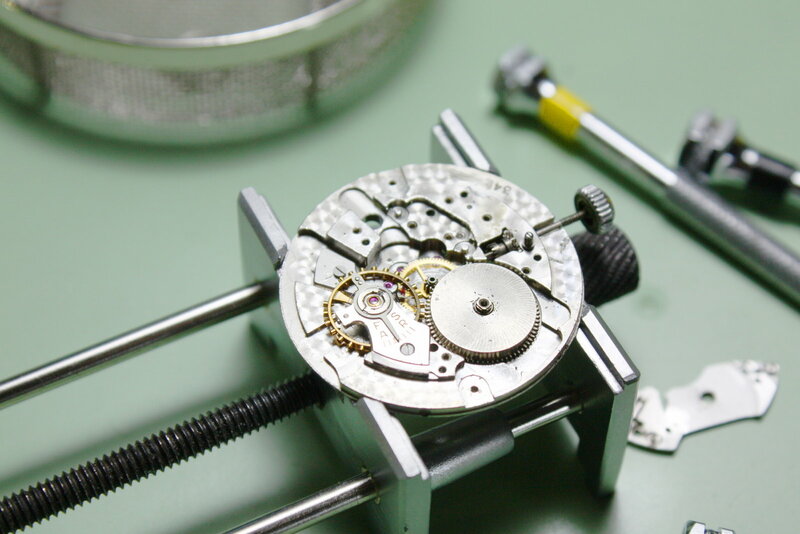 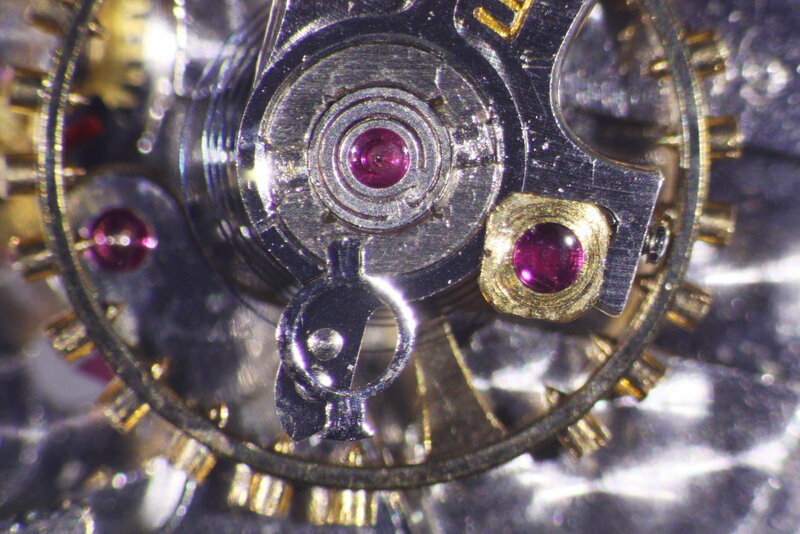 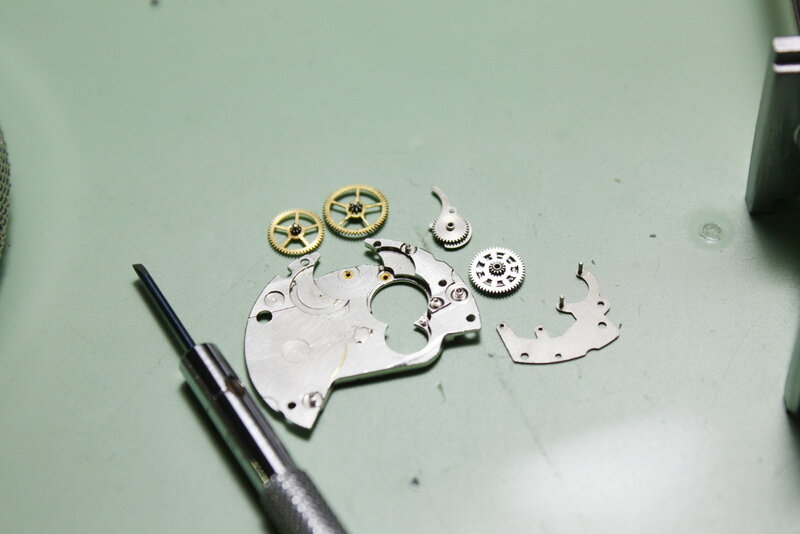 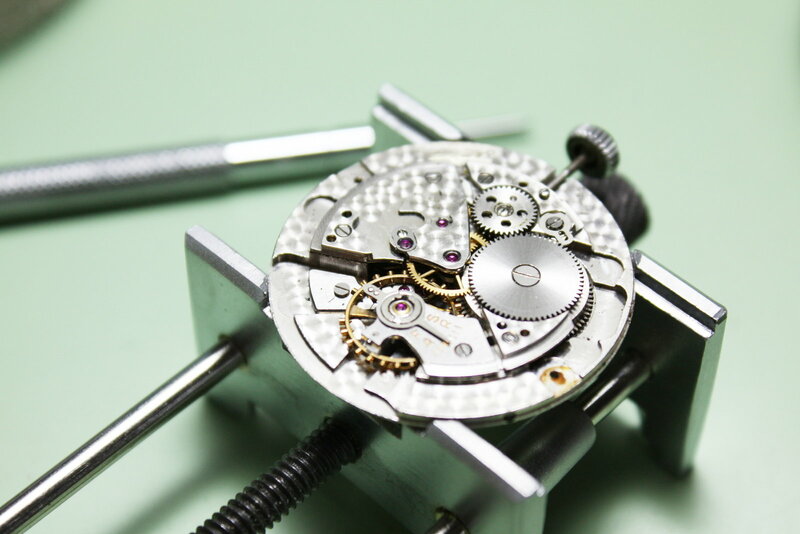 In contrast, the 1249T movement is exceptionally beautiful and even features one of the rare golden rotors as they were only used for the first movements of the line. 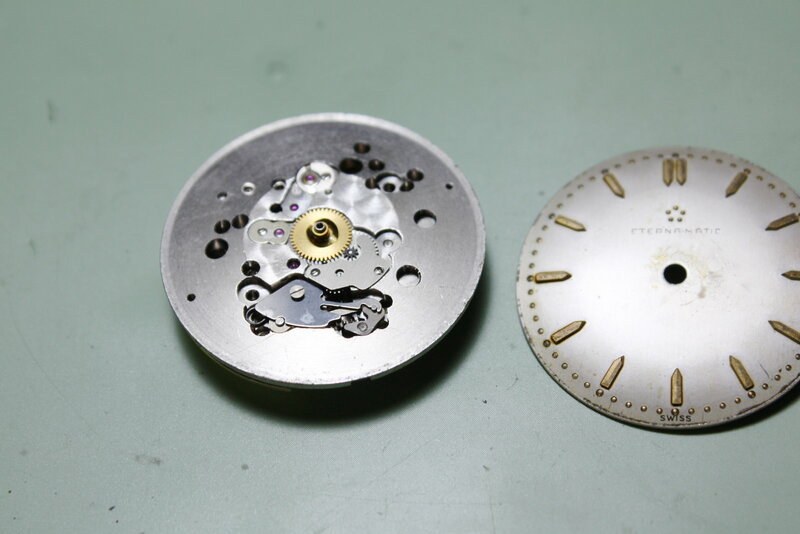 The rotor´s ball bearing has five steel beads which also became Eterna´s official logo (check back for this article´s first photo if you can´t remember !-). 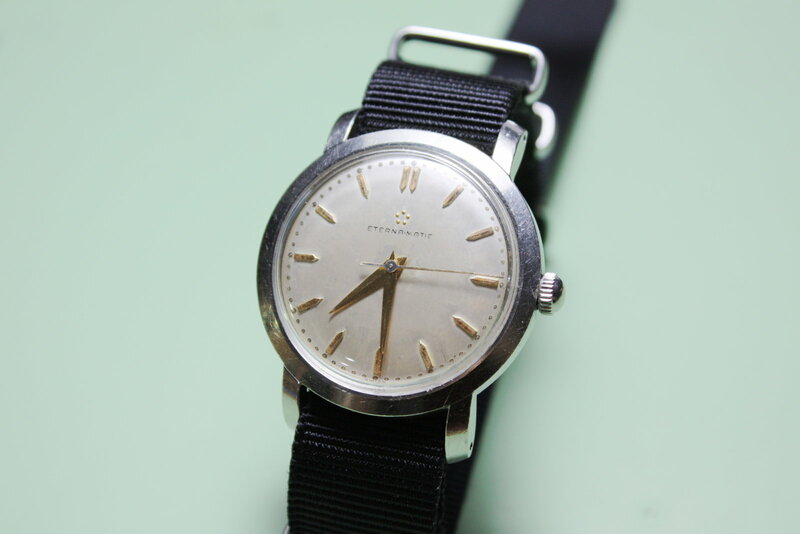 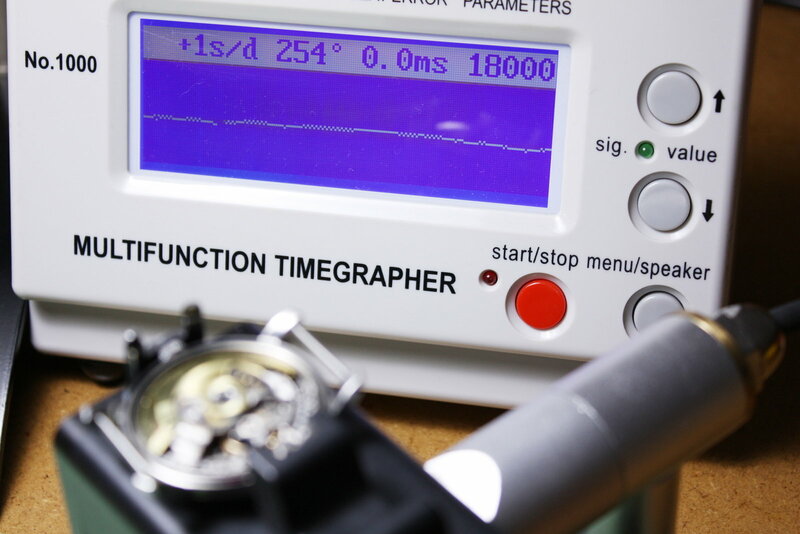 The watch still works, but the timegrapher shows that a service is really necessary. 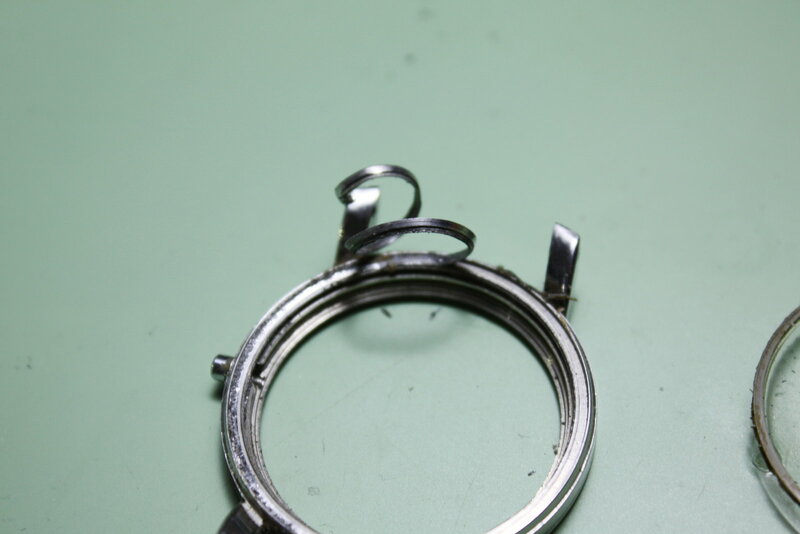 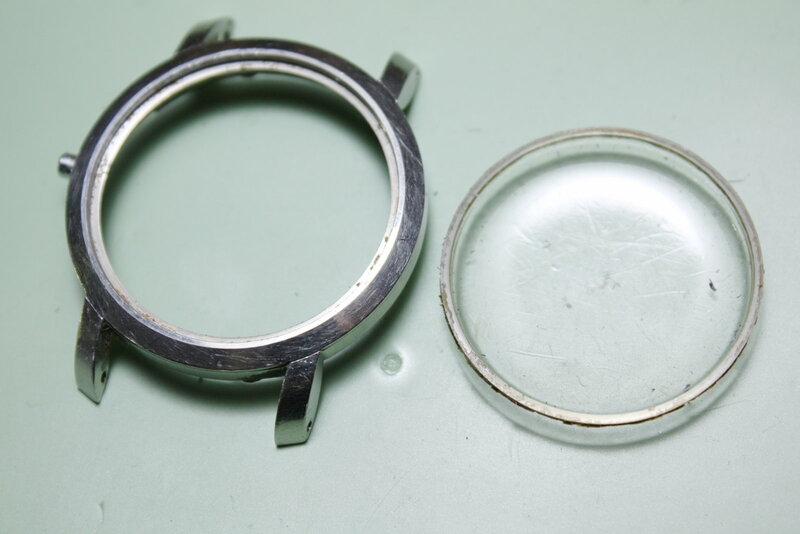 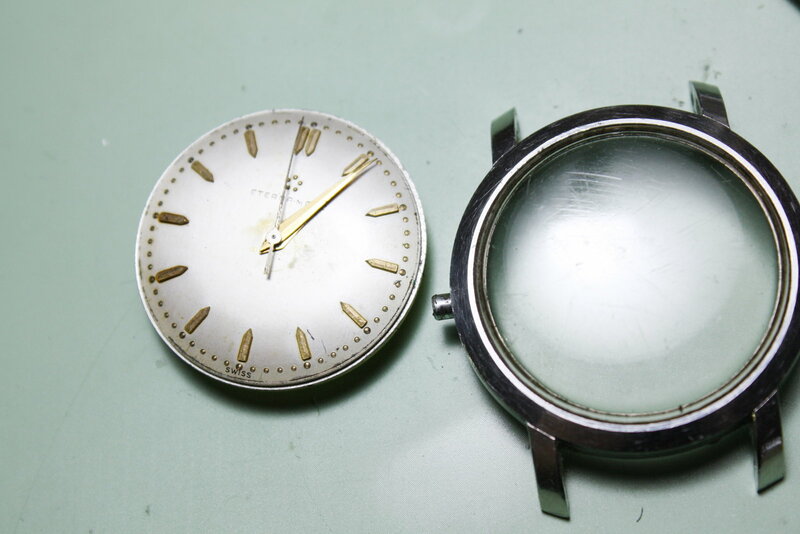 The case sealing was made from soft metal...not unusual back then. 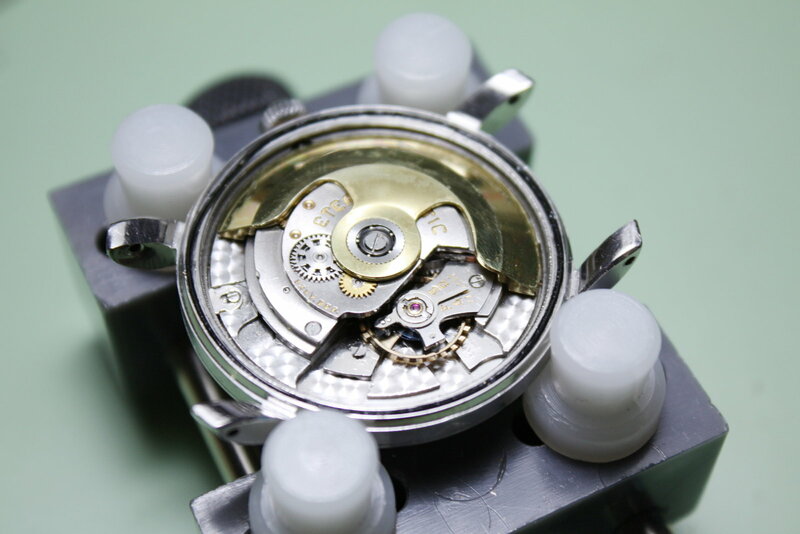 The bidirectional self-winding system already shows some of the DNA of the later ETA movements (and yes, ETA actually derived from Eterna). 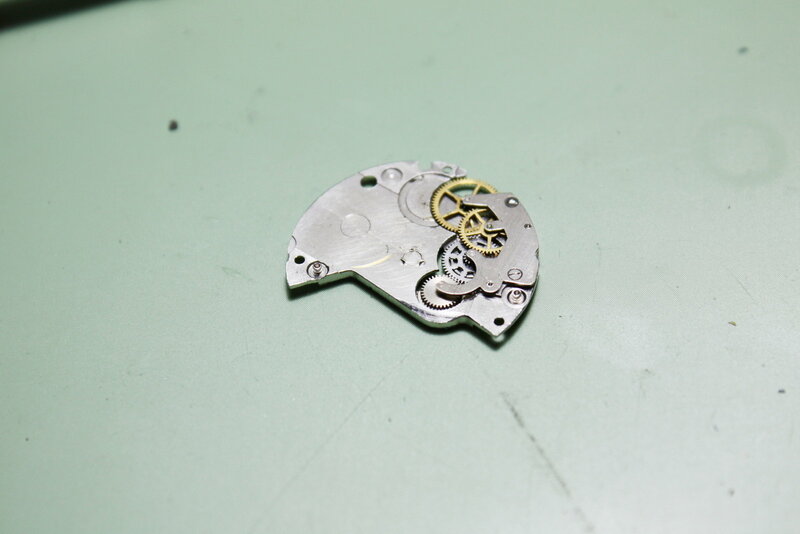 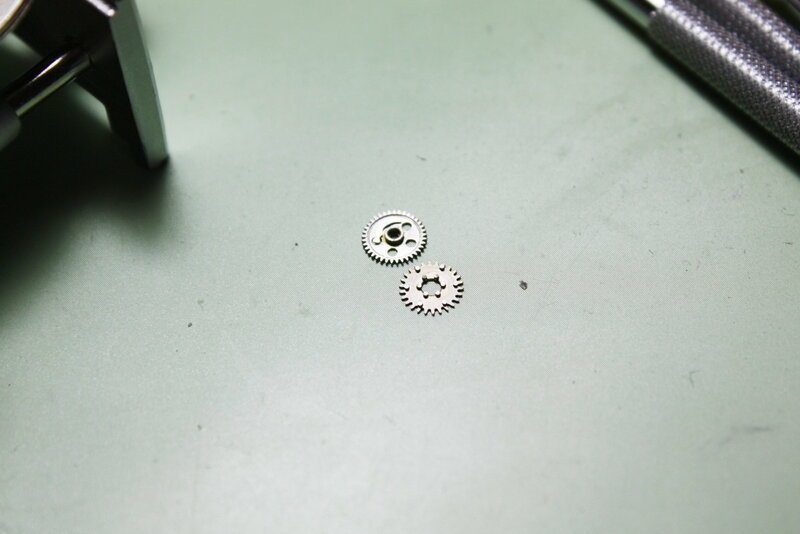 The plating under the automatic wheels has already worn away. 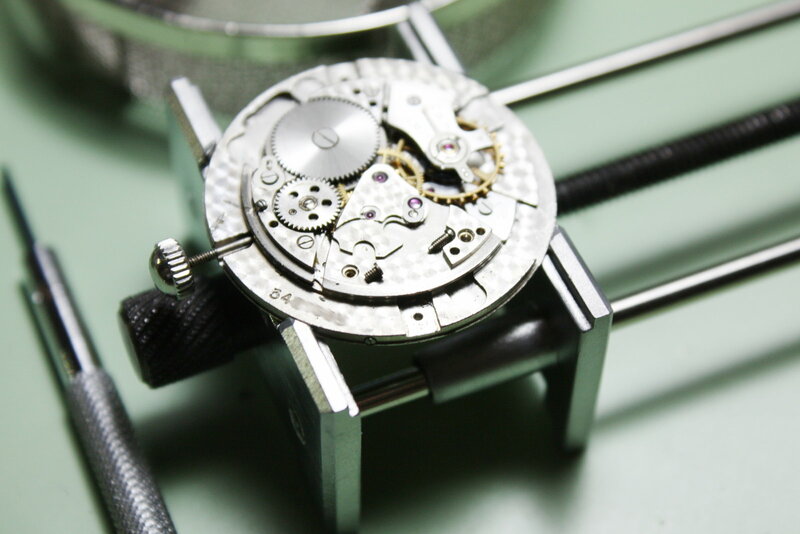 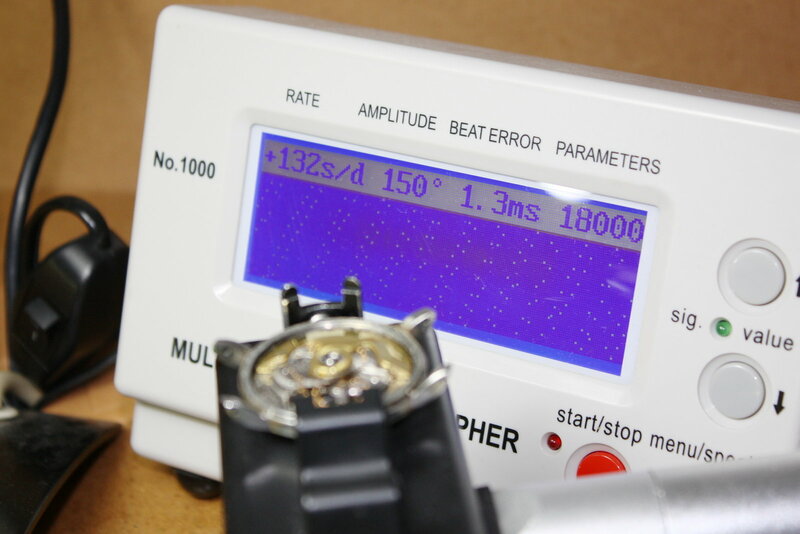 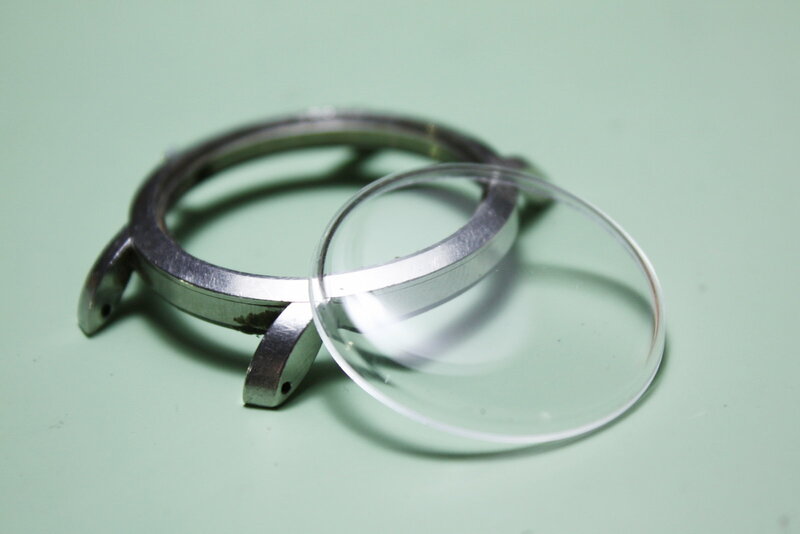 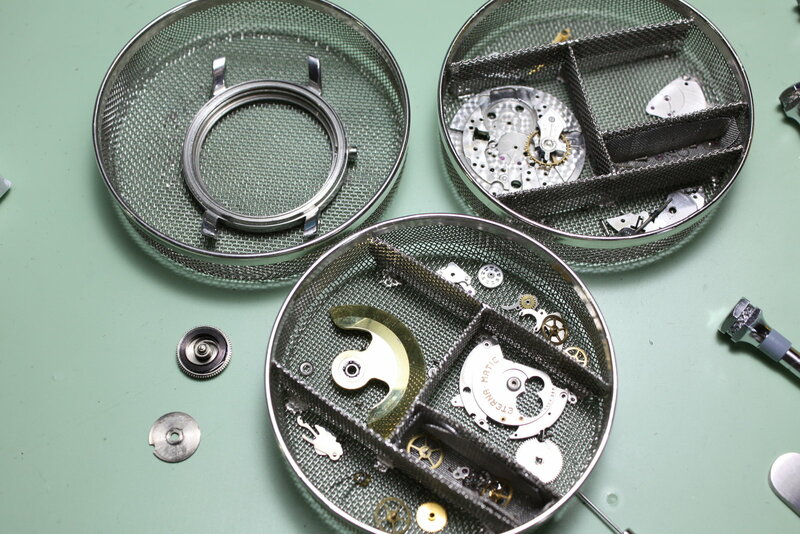 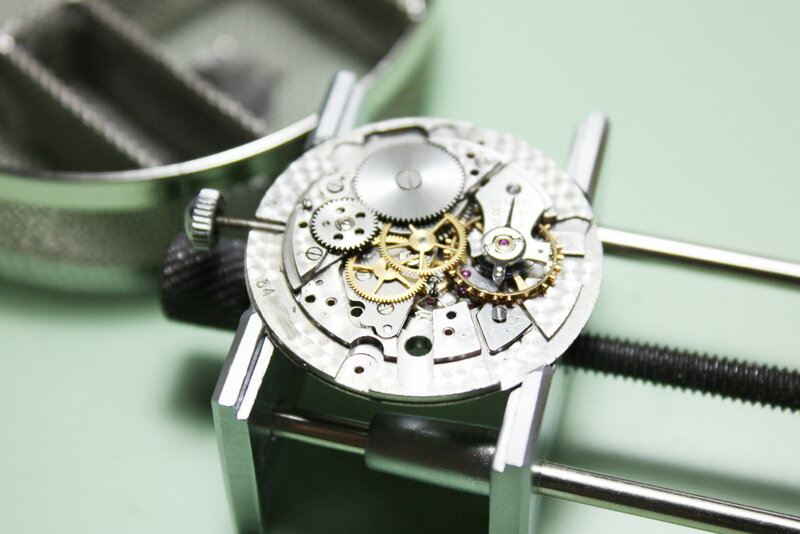 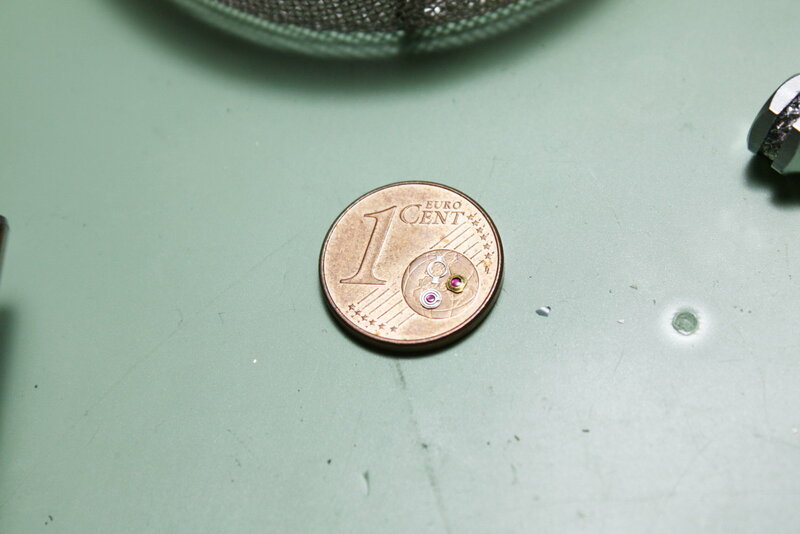 Without the self-winding module the watch still looks and behaves like a hand-wound watch. 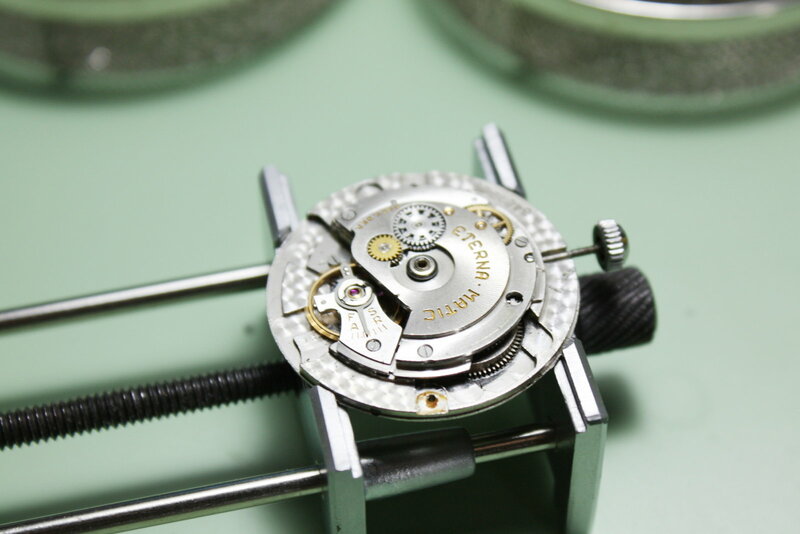 A detail shot of the Eterna "T" shock protection system...it resembles a Citizen Parashock system, doesn´t it?